Ynvisible Interactive Inc announced that it has entered into a commercial agreement with a globally leading security and identity solutions group which is exploring the use of Ynvisible's proprietary intellectual property and expertise in electrochromics in its electronic identification document solutions. 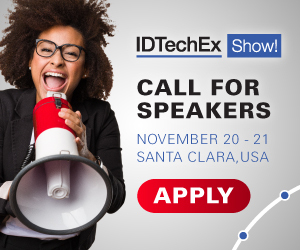 For more information see the IDtechEx report on 3D Printed Electronics and Circuit Prototyping 2019-2029. The Client is a global leader in smart identification products and identity documents. Its products are used by millions of people daily. Ynvisible will deliver the results of this agreement by the end of Q2. The Parties aim to build the collaboration and develop printed electrochromics into the Client's secure document offering for increased levels of authentication. "This co-operation is a further example of the expanding range of uses for our proprietary electrochromic technologies in smart objects. We are thrilled to begin working with a globally leading security and ID solutions group and aim to help them apply electrochromics for added levels of security and easier visual authentication. Our technology offers a strong deterrence for counterfeiters." says Carlos Pinheiro, CTO of Ynvisible. Ynvisible is a leading company in the emerging printed and flexible electronics sector. Given the cost and power-consumption advantages over conventional electronics, printed electronics are a key enabler of mass adoption of the Internet of Things and smart objects. Ynvisible has experience, know-how and intellectual property in the field of electrochromic materials, inks, and systems. Ynvisible's interactive printed graphics solutions solve the need for ultra-low power, mass deployable, & easy-to-use electronic displays and indicators for everyday smart objects, IoT devices, and ambient intelligence (intelligent surfaces). Ynvisible offers a mix of services, materials and technology to brand owners developing smart objects and IoT products.